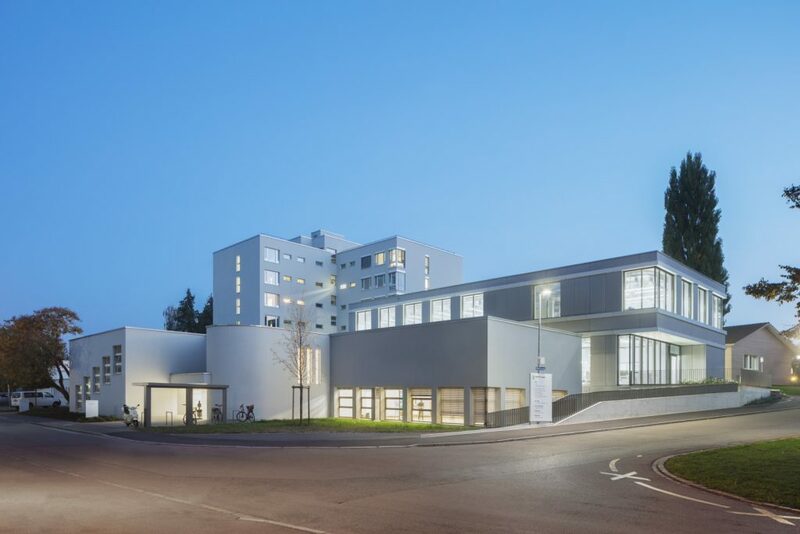 The design for the Münsterlingen pathology building is distinguished by a clear urban development arrangement that complements the existing hospital buildings while creating a new, freestanding, contemporary building with a clear architectural vocabulary. The new building includes approximately the same volume as the old swimming pool hall and deliberately defines the roofed-over entrance area with its undercut toward the street. The structure and course of the surrounding axes are assimilated and brought to a conclusion within the building. In the western section, the new building almost reaches the site boundary, stepping out independently from the existing structures.